When you’re involved in promoting your business, it’s well worth trying out various ideas and ways of doing so. 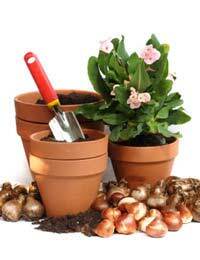 One variation you may like to investigate is the idea of developing gardening goods to promote your business. A wide variety of businesses make the most of promotional products, from simple pens and notebooks, to balloons, stickers and bookmarks. Although it may seem a bit strange for a gardening business to go down this route, in fact it can be really worthwhile. The idea of promoting is to get your business name, details and message to as many people as possible. In the same way that you print your business name on headed notepaper, business cards or paper bags, it can also be printed onto other promotional items. Many of these promotional items are given away free of charge, as a welcome gift or freebie to customers, and are handy to have if you’re attending any gardening shows or fairs. Although some of their delight in being given the item may be purely because it’s free, if it’s well used and visible to them frequently, your business name and offerings may stick in their mind and the chances are they may think of using you for gardening needs in the future. But promotional products don’t always have to be free. You can create gardening-related promotional items, such as packets of seeds, bulbs, gardening equipment, like trowels, or other accessories that utilise the name and details of your business on them. Through clever marketing, well thought out pricing and correct product placing, you can gain sales of the products and help promote your business at the same time. If either the free or paid for promotional product idea floats your boat, then it’s time to get down to generating ideas. Have a brainstorming session, either on your own or with other people, about what type of products you could create. Think about the design, and how your business logo or design could be cleverly incorporated into it, so it looks good and carries a valuable message. There are some companies that specialising in providing products for promotion purposes. Although these are usually the more generic products, it’s worth contacting some of them for details of what they do and how it works. Usually, for example, a set number of products is produced with your design. Even if they don’t stock gardening products, you are sometimes able to provide them with a product to put the design onto. It’s them up to you to come up with a suitable pricing scheme, so that you recoup the amount you’ve already paid and make a small profit on any sales. Promotional products can either be used on a short or long-term basis. They’re handy when you’re first starting out, as it gives another way for customers to become familiar with your company name. They’re also useful if you have any special demonstrations or classes running, as you can make up a goody bag of gifts for attendees. Gardening goods with your name and branding on them can work well on a long-term basis, as long as they’re not products that will date (i.e. seeds that have a certain lifespan). You can sell them in your gardening shop, or advertise them to customers as you carry out gardening services.